Drum Lessons in Plymouth- Quality, Trusted Tutors. Do you want to learn to play the drums? Do you live in Plymouth? Then let MusicTutors help. We have a bank of high-quality professional bass tutors in Plymouth, eager to share their knowledge and start you off on your journey as a musician. Whether you’re a complete beginner, have had some experience, or are an advanced player looking to improve your skills; we will have the tutor for you. Book today to receive 50% off your first lesson! Many parents have an interest in their children learning music. For good reason - there have been many studies linking academic achievement and playing music. This could be that it works amazingly well for stress relief, it requires focus, therefore, training your brain and self-discipline. But most importantly, we all like the music of some form. Just imagine your child, beaming ear to ear after they’ve played their first recital, or just got through a piece of music they like for the first time. This is such a proud moment for parents. The bass, although versatile, is essentially an ensemble instrument. Listening, teamwork, restraint and empathy are all key skills associated with learning the drums. If you want your child to learn how to be part of a team - think drums! When most people think of music lessons, they imagine a child taking their first steps into music under the watchful eye of an instructor. But what may surprise you, is the number of adults who are either trying to play for the first time, have started to re-discover their passion for music after years away from the instrument. 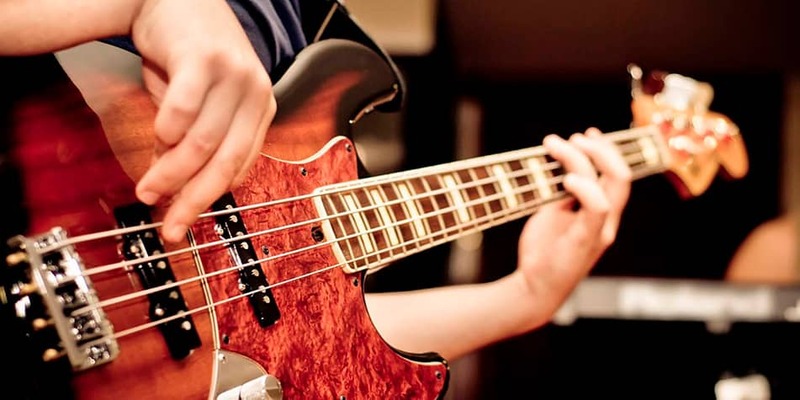 Famous bass lines from jazz, soul, rock n roll, literally run deep in us and it's no surprise that the bass is a popular instrument for adult learners. We are very proud of our team of Brighton bass tutors. Professional musicians and also humble people, they will never patronise and always seek to explain next steps in positive, simple and encouraging language. Lots of people believe that taking music lessons is just for the beginner or those studying up to University. After that, you should have all the information that you need. But this could not be further from the truth. Great musicians are always learning how to improve their craft and many greats still having lessons well into adulthood and beyond. No matter what your level, whether it's a new style or a technical overview, taking professional lessons with a professional Drum tutor is the best way to stay humble and to remind yourself that music is bottomless! All of our tutors are of high quality and able to help regardless where you’re at with your playing. Book today for 50% off your first lesson!